Making meals in the slow cooker is one of the easiest ways to cook for a crowd on a budget. Below we’ve chosen some of the tastiest and easiest creations for everyone to enjoy. 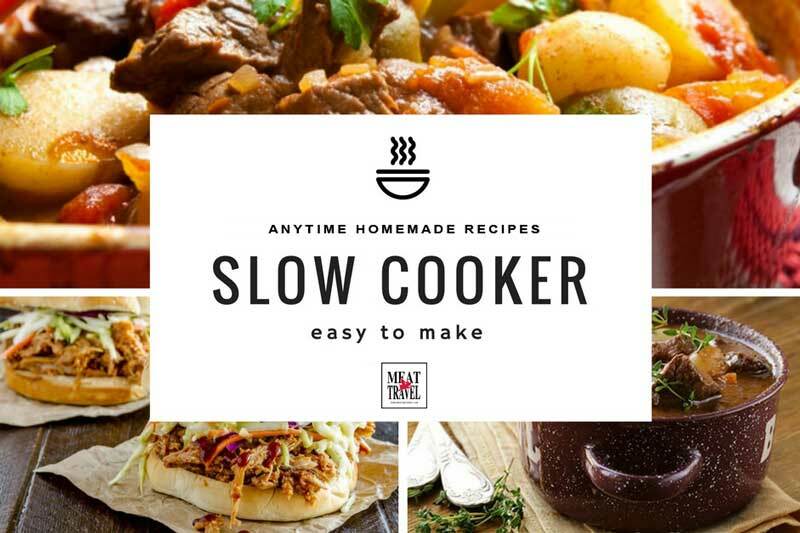 The beauty of slow cooker recipes is that you can cook many in bulk and freeze of refrigerating for dinner or lunch during the week. Slow cooked, Juicy Pulled Pork Burgers. Delish! Let’s start with the flavour of the times, “pulled pork.” Everywhere you go these days someone is serving up pulled pork, and for a good reason, it’s delicious! 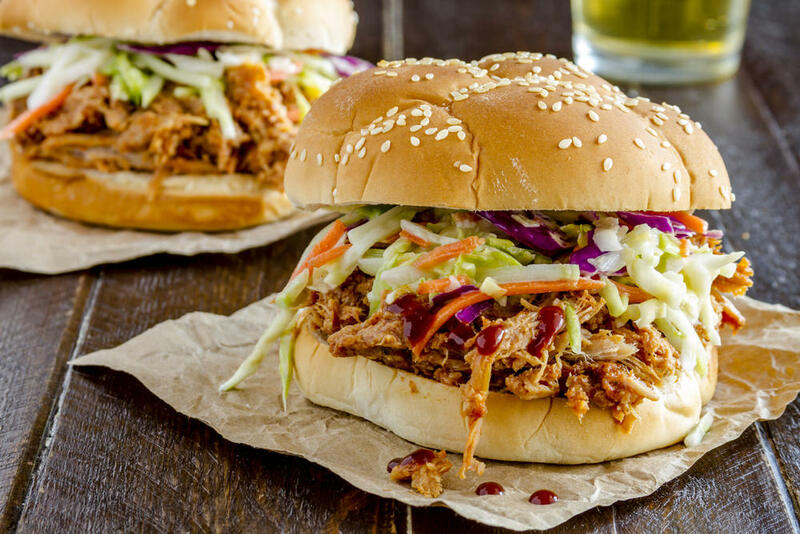 Make burgers rolls or sandwiches with it this Texas pulled pork slow cooker recipe. 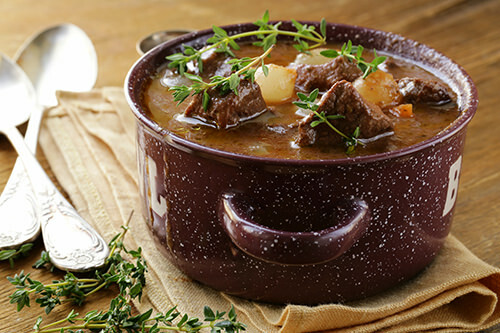 A warm and hearty meal, this Beef Bourguignon will fill the air with an aroma sure to make everyone begging for you to serve it up. 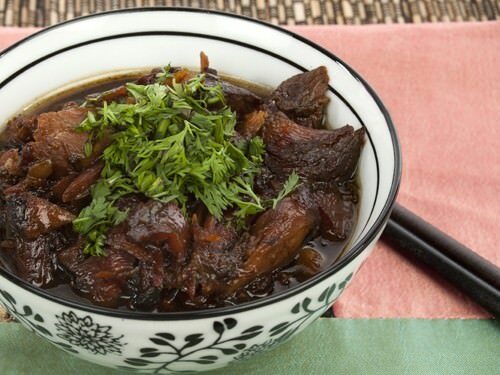 Find the easy to make instructions here slow cooker beef bourguignon. If you want to infuse flavor into your chicken dishes, slow cooking is the way to go the constant heat works the flavor in over time. 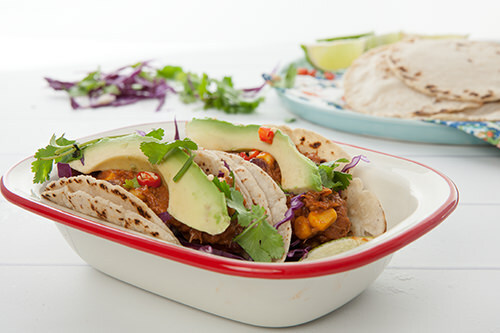 These Smokey Mexican Chicken Tacos can also be cooked in a pressure cooker if you want them fast! Homemade baked beans made in the slow cooker give a rustic wholesome to satisfy the wintertime cravings for comfort food. These have so much more flavour and sophistication than the canned variety. 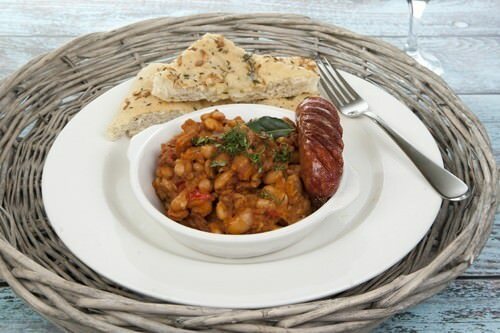 Find the recipe and instructions for the slow cooker maple syrup baked beans here. Put these shanks in the slow cooker before work and return in the evening to an aromatic home, with dinner waiting. The meat will melt in your mouth. 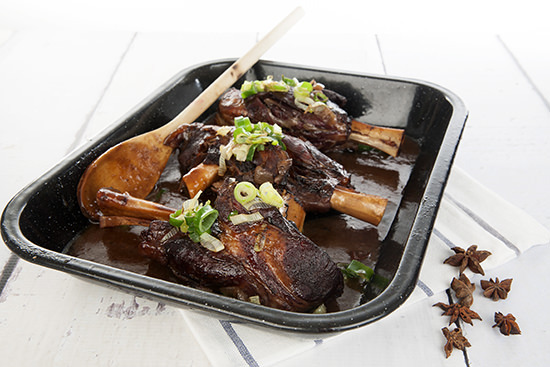 Honey Soy Lamb Shanks are delicious with rice or noodles. 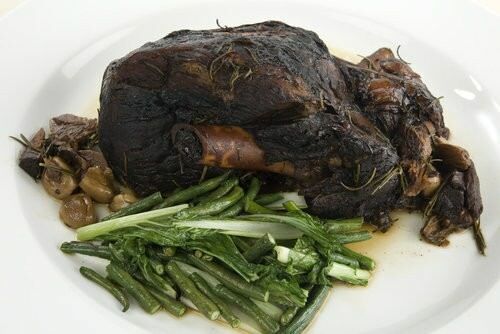 slow cooker lamb shanks recipe. Fancy some exotic Filipino cuisine? This delicious Oxtail Kare-Kare done in the slow cooker is simply a divine way to use this cut of meat. Follow the Oxtail Kare-Kare recipe instructions. Don’t let the dark tone of this dish fool you, the meat takes a blackened look due to the balsamic vinegar it is cooked in. This slow cooked lamb is soft, tender and the flavour is amazing! balsamic roast lamb. Another exotic recipe from around the world is this delicious Massaman Curry from Thailand, the land of the finest curries in the world. 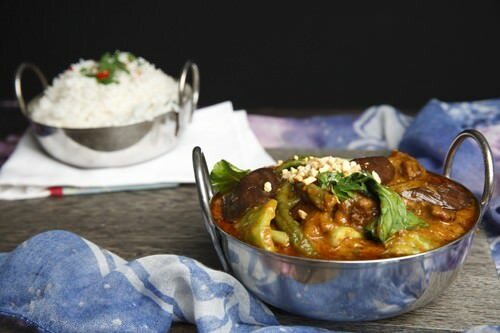 Many Thai Curries are perfect for the slow cooker, especially when using cheaper cuts of meat. 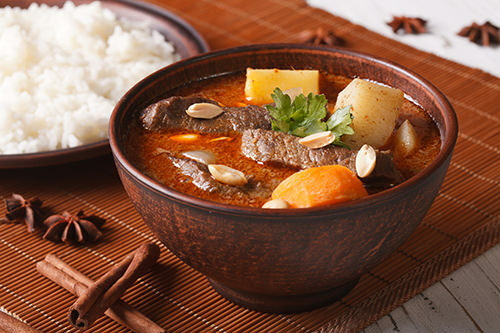 This Thai Massaman Curry is very easy to make in the slow cooker. Now for something a little different, we have a Balinese slow-cooked duck. This dish is usually cooked in a slow charcoal fire overnight, but the slow cooker gives the dish a similar result. The accompanying sauce can be as spicy or mild as you prefer it. Slow cooked Balinese roast duck. 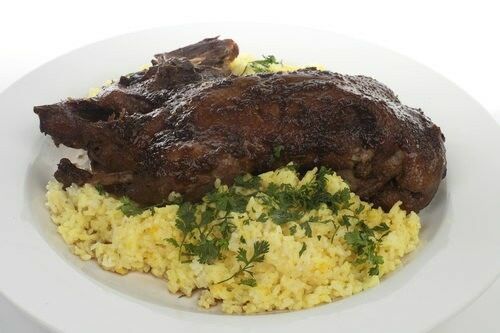 One of the most popular meals to make on Gourmet Getaways during the winter months is this slow cooker recipe for Maple Syrup Lamb Shanks. The sauce is sweet and rich and the meat moist and lush. Sweet maple syrup lamb shanks.